Every year, more than 36.2 million children participate in some type of organized sport. However, sometimes these young athletes are prevented from taking part in the activities they love due to injuries or musculoskeletal issues. Dr. Jason T. Levy, director of the New Jersey-based Advanced Performance and Rehabilitation Center and team chiropractor for the New York Jets (NFL), New York Red Bulls (MLS), and New Jersey Devils (NHL), knows this all too well personally. He was one of those children. Levy recalls being a young, multi-sport athlete in his early teens and being told that he couldn’t play soccer for the full season due to a relatively commonplace musculoskeletal issue. If you’ve ever been sidelined yourself, you know how devastating this can be. Being kept off the field was bad enough, but when Levy discovered later in life that his condition could have been managed and his sabbatical from playing avoided, he vowed to make a difference for the many kids just like him. That’s why he strives to keep his pediatric patients in the game. Issues that sports chiropractic treatment can effectively treat. “Being a sports chiropractor, we see a lot of conditions your typical chiropractor isn’t going to see,” says Levy. One of the atypical conditions that Levy encounters is Osgood-Schlatter disease, the very same one that kept him out of the game when he was younger. Mayo Clinic shares that Osgood-Schlatter is a condition that occurs when youth’s thigh muscles “pull on the tendon that connects the kneecap to the growth plate at the top part of the shinbone.” It often appears in children who participate in sports like soccer, volleyball, and basketball and the end result is swelling and pain. In the past, “they put you in a cast and told you to rest your leg,” says Levy, referencing the same approach used with him when he was a young athlete, keeping him off the field for almost two months. “Though chiropractic care cannot heal this condition, it can help manage it until the growth plates fuse and the pain goes away” he says. A great example is a 12-year-old tennis player that Levy worked with who faced a similar musculoskeletal issue. Levy used the more cutting edge methods of Active Release Techniques, Graston Technique, and Kinesio Taping procedures that were not available when he was a young athlete. With time, therapy, and dedication, Levy enabled the young athlete to continue participating in the daily practice regimen and frequent competitions. Years later, Levy began treating this patient’s mother and recently learned that the young athlete was now competing at a high level and had just won an adult tennis tournament in Los Angeles. Another open growth plate-related condition is Sever’s disease, also known as calcaneal apophysitis, which impacts the growth plate in the heel. For conditions such as these, Levy has found that stretching, soft tissue management, and taping procedures can often help provide relief until the growth plates have time to fuse. “Youth athletes today are training more like collegiate and professional athletes without the rest and recovery” says Levy. Plus, with many more children specializing in a single sport rather than participating in a variety of physical activities, their bodies are more prone to repetitive overuse injuries. Some of these fall into the second category of issues Levy often sees in pediatric sports patients, which are the ones you can help the child manage but ultimately need to be referred to another healthcare provider. One is stress fractures in the spine. “Lower back pain is very common in the general population and youth athletes are not the exception,” says Levy, adding that diagnosing a stress fracture in the lower back can be very tricky because it presents similar to mechanical back pain. Yet, if the pain does not resolve within a couple of weeks, the sports chiropractor should keep this possibility in the back of their mind. 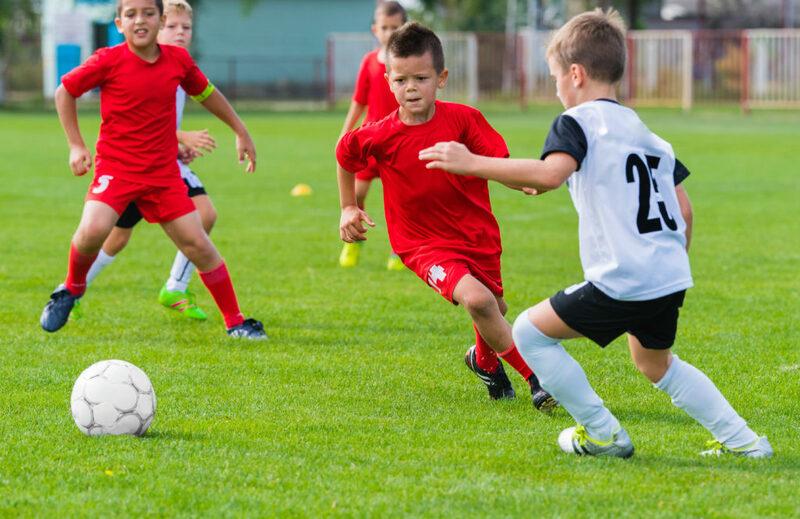 “While you can make the youth athlete more comfortable, ultimately a stress fracture in their spine is out of the scope of sports chiropractic care and should be referred out to a specialist,” says Levy. Shoulder Injuries. Levy indicates that these are most prevalent in athletes who compete in overhead sports such as tennis, swimming and baseball. Hip and Groin Injuries. These tend to be fairly common in sports that require lateral motion, such as soccer, hockey, football, etc. Mechanical Lower Back and Neck Injuries. Occurring in both contact and non-contact sports lower back and neck injuries are seen in football, wrestling, lacrosse, gymnastics, field hockey, and many others. For all of the aforementioned injuries, Levy says that effectively addressing these types of issues involves evaluating the kinetic chain to ensure the range of motion of the extremities is equal. “You can’t just focus on the pain,” he says. “You need to make sure everything is balanced and stable.” Extremity adjustments/mobilization and soft tissue approaches like Active Release Techniques, Graston Techniques, and other Instrument Assisted Soft Tissue Mobilization (IASTM) approaches can help too. There are also some things youth athletes can do at home to “make sure the tight stuff is loosened up and the loose stuff is strengthened up,” says Levy. This includes using foam rollers, engaging in a general stretching program, performing balancing exercises, and doing strength training exercises designed to strengthen their core or other areas of weakness. “Posture is also huge,” says Levy. To help his young patients with this, Levy suggests that they set a reminder in their phones to sit up straight or take a walk. He also recommends a few basic exercises such as wall angels, elbows-in-back-pockets, and chest stretches in a doorway to help reinforce proper posture. For Levy, every youth athlete he can help get back on the court or field, and to perform at their best, is what gets him up in the morning. “I feel like there is a little piece of me in each and every one of their performances,” he says.